No matter what, I can’t get this song out of my head right now! It’s a sign that it’s time! The year is near to an end and the holiday season is upon us to remind each other during the dreary, cold and wet weather that we mean something to each other. It’s time to find those little trinkets that say, “I can’t live life without you in it, here’s a bit of appreciation.” I have a gift guide launching very soon, but until then, I want to give you just a small sample of items that I think would be awesome gifts for this holiday season! Shoppers Drug Mart tends to be that one-stop-shop for me when I have to pick up that under $20 Kris Kringle gift, along with some cool things that my family would love. Last year, I gave my sister a Smashbox eyeshadow pallet that she just loved, and I believe it was an exclusive set to Shoppers Drug Mart. I also spent 95,000 Optimum points in the beginning of last December for a $210 shopping spree! With that many points to spend, I wound up with some great wrapping paper & tags, fabulous stocking stuffers in makeup, toiletries that the family needs, and even a few gifts in gaming & electronics too! Perhaps it’s because it’s just so easy to get to a Shoppers Drug Mart, that I love to do a lot of my shopping there. With three locations available to me, simply by walking there, it’s so easy to cross a lot of items off my holiday shopping list! This Shoppers Drug Mart exclusive Fragrance Sampler is *amazing* on so many levels! It lets the recipient try a hug collection of brand new fragrances, so that they can find the one that they love. Once they figure out which fragrance is perfect for them, they can use the enclosed certificate for a free full size bottle of their choice. This set is also fabulous for bottle design collectors – they’re all too cute for words, and this is an easy way to collect a large assortment of designs. I loved looking at my mother’s collection growing up, and is probably why I have such a fascination for glass design today. This should be a big clue, but I am a BIG fan of makeup collections for holiday gifting. The chance to try out makeup that you wouldn’t necessarily pick up for yourself is truly intriguing for me and I’m sure I’m not the only one that feels that way. This exclusive five bottled set has some gorgeous colours for holidays and celebrations. Every girl needs a set of makeup brushes, and Quo is great for affordable, while maintaining a quality design. 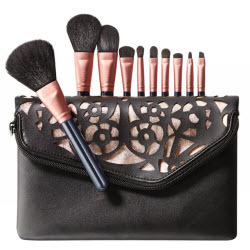 This brand new, limited edition set carries ten of their well-crafted brushes, along with a nicely design makeup bag. This set is all kinds of win! 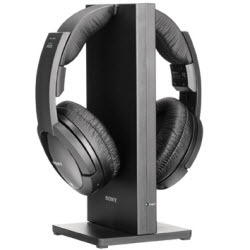 This is one of those really cool electronic items you can get at Shoppers Drug Mart, along with brand new games for most consoles, digital cameras, DVD players and even netbooks; this SONY Wireless Headphones is truly fabulous as a gift that the recipient didn’t know that they needed. I have a similar pair that isn’t wireless, which means this set is now also on my Wish List (heck, everything in this post is in my Wish List.) Especially in the days of Skype and Google+ Hangouts, you need a great set of headphones by your computer to ensure you’re not giving the people you’re speaking with a headache from echoing feedback. It happens. I’ve had quite a few headaches in the past because occasionally slow internet speeds and multiple speakers makes for a great audio lag that creates feedback. It’s also a fabulous item for the gamers in your life that want to play with the audio amped up; especially if you don’t. Shoppers Drug Mart’s online holiday site has recently gone live, so check that out for great deals on more fabulous gift ideas, and keep an eye out for those beauty items that will include a free gift with purchase, while quantities last! There is also a Facebook holiday contest starting on December 2nd, along with an advent calendar that will reveal awesome products to pick up over a 12-day span. Multiple prizes will be awarded during that event, so don’t forget to Like Shoppers Drug Mart’s page and check it out every day to win! Are you on Twitter? Chat with other savvy shoppers that are enjoying #giftsmadeeasy! Who knows, with all the fabulous events happening at your local Shoppers Drug Mart and online, you may want to keep track of what your fellow shoppers are finding! I love how Twitter can be almost like a personal shopper as you find out instantly what your fellow tweeps are picking up, that you just might need to find stat! One of the first places I go is SDM when I’m ready to start gift shopping 🙂 Not only do they have great gifts…but they always have the best cards too! I always hit SDM for awesome stocking stuffers! It’s funny I never really thought about SDM as a place to really buy gifts, but after reading over the posts, it really IS!! Great post, love your gift choices! I love Shoppers Drug Mart exclusive Fragrance Sampler too, and they even have one for mascara! You can definitely find great buys at Shoppers for the holidays. Now I have that song in my head too! Love it! I too am loving all the sampler kits…they’re so great! I always forget about all of the cool electronics Shoppers carries but they really do have a pretty big selection and often for really good prices! 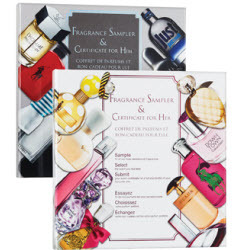 I really love the Fragrance Sampler, what an awesome gift idea! SDM makes it simple, with their cosmetic kits I can afford to get more with my dollar. Shoppers has been a lifesaver for me on many occasions. They have something for everyone. I’m really excited about their Facebook contest! I can’t wait. Looks like some great choices! I love doing my Christmas shopping at Shoppers – so many great gifts for everyone! I love my Optimum points! I’ve cashed in so many of them over the years. 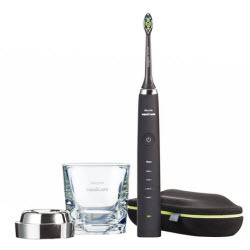 It’s so great that the toothbrush even comes with a rinse cup. No more having to jam your head down into the sink trying to catch a drip outta the faucet. Not that I’ve ever done that…. SDM has such cute gift sets. It’s my go to for the holidays! Especially with teenaged nieces.. you can’t go wrong with a makeup or perfume gift set! Shopper’s has some great gift ideas! I was in there and got a few things. Nicely packaged items for Christmas.